Corresponding author at: Instituto de Biociências, Universidade Federal do Mato Grosso do Sul, Campo Grande, Brazil. Table 1. Summary of some in situ monitoring programms on going in Brazil. The necessity to create national to global-scale biodiversity monitoring systems as part of assessing progress toward biodiversity agendas presents a challenge for signatory countries. 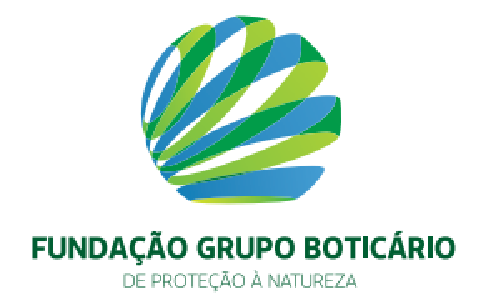 This is a brief review of ongoing Brazilian national initiatives that would allow the construction of a general biomonitoring network scheme in protected areas; with additional focus on linking independent monitoring schemes. We discuss some key aspects needed to include monitoring schemes under a single framework that will lead to better evaluation of pressure–state–response indicators for managing biodiversity at several scales; and we point out the potential of embracing citizen science and participatory monitoring to quantify some aspects within those schemes. The weak articulation of national and global-scale biodiversity-monitoring systems is a challenge when assessing progress toward global conservation goals, such as those proposed by the Convention on Biological Diversity's (CBD, 2014), “Aichi Targets” in 2020, the Intergovernmental Panel for Biodiversity and Ecosystem Services (IPEBS), and the 2030s Agenda for Sustainable Development (Navarro et al., 2017). Signatory countries of such agreements have the primary responsibility of monitoring progress through adequate indicators of achievement of their goals (Pereira et al., 2013). As biodiversity-monitoring initiatives are related to many objectives, scales and regions, the development of monitoring frameworks is critical, taking into account the capacity and governance of each country (Pereira et al., 2013). Given the scarcity of investment in monitoring biodiversity, the Aichi targets and the targets of other initiatives are currently focused on metrics (e.g. landscape metrics) that do not require new information generated in the field. Comprehensive in situ biodiversity-monitoring initiatives have been present in developed countries for the last decades and have been carried out at large geographic scales (e.g., Long-Term Ecological Research Network, NEON, the USA-National Phenology Network, and International Waterbird Census). However, large-scale networks of monitoring systems are just starting in most tropical megadiverse countries (Sullivan et al., 2014). New biodiversity monitoring initiatives in tropical countries, such as those in Brazil (Table 1) can improve the understanding on the world's biodiversity condition and trends. Brazil is one of the most culturally (possessing over 200 indigenous ethnicities and 170 languages) and biologically megadiverse countries on the planet (CBD, 2014; Mittermeier et al., 1997). It harbors one of the largest protected-area system (PAs) across the world, of approximately 271 million ha (154 million ha of parks and other protected land categories [CNUC, 2016], and an additional 117 million ha of indigenous lands [ISA, 2017]). These areas cover threatened biomes, including the hotspots Atlantic Forest and Cerrado (Myers et al., 2000), and most of the Amazon basin. Summary of some in situ monitoring programms on going in Brazil. Recently, Brazil was redlined on international forums due to a controversial alteration to the Brazilian Forest Code and the consequent possible impacts on biodiversity (Brasil, 2012; Soares-Filho et al., 2014) such as protected area downgrading, downsizing, and elimination (Bernard et al., 2014). The development of major infrastructure and natural-resource extraction projects in PAs (Ferreira et al., 2014; Sugai et al., 2014), along with mining disasters that affect protected areas and human lives (Garcia et al., 2017), are further concerns regarding how the Brazilian Government is moving forward on environmental matters. An often raised issue in these debates is the necessity to integrate the biodiversity monitoring systems that provide information regarding biological diversity status. Connecting these systems would allow them to supply timely, comprehensive, multi-scale information to Brazil's biodiversity and environmental services; allowing them to evaluate impacts and take appropriate actions while safeguarding these areas (Magnusson, 2014). In the last few decades, Brazilian environmental-monitoring systems using remote sensing data has covering an extensive area, involve several institutions and substantial investment (CBD, 2014; Schimel and Keller, 2015). Brazil has world-class satellite analysis systems, pioneering real-time assessments for tracking deforestation and fire across most of its biomes (e.g. Anderson et al., 2005). It is unquestionable that satellite observation can monitor general trends of land-use change and can be used indirectly to measure general patterns of biodiversity, thereby giving additional support to decision-making (Foody and Curran, 1994; Turner et al., 2003; Pettorelli et al., 2014a; Anderson, 2018). Remote sensing is an important source for ecosystem monitoring, which is a target of the CDB (Strategic Goal 5, Target 5 of Aichi Biodiversity Target – Secretariat of the Convention on Biological Diversity, CBD, 2014). Nevertheless, it is not suitable for monitoring species, populations or communities, which must be assessed by on-the-ground surveys (Pettorelli et al., 2014b; Schmeller et al., 2015). Subtle impacts (such as poaching, selective logging and diseases) are poorly detected by satellite imagery (Schmeller et al., 2015), and this is well illustrated by the recent epidemic of yellow fever, which threatens both monkeys and humans, but with poorly-documented impacts (Kean, 2017). Also, efforts to measure management interventions in protected areas across the world require counterfactuals, i.e., in situ data from both inside and outside protected areas (Laurance et al., 2014; Coad et al., 2015; Oliveira et al., 2018). In synthesis, integrating ecosystem models, multi-scale remote sensing, and networks of in situ monitoring systems is fundamental to monitor biodiversity and ecological services (e.g. carbon stocks) (Bustamante et al., 2016; Anderson, 2018). The recent establishment of the Brazilian in situ monitoring program of Federal Protected Areas (described below) provides an impetus to discuss how different biomonitoring initiatives can be articulated into a network of biomonitoring systems. Within this context, we have three objectives: (i) briefly review some ongoing Brazilian initiatives on biomonitoring, looking for connections that would allow a biomonitoring network scheme, particularly the Brazilian in situ monitoring program of Federal Protected Areas (Monitora Program) and the Program for Biodiversity Research (Programa de Pesquisa em Biodiversidade – PPBio); (ii) discuss key aspects to articulate the monitoring schemes under the same framework to obtain a better comprehension of the pressure–state–response indicators for managing biodiversity; and (iii) point out the potential of embracing citizen science and community-based participatory monitoring. Biomonitoring systems can be linked in a network structure, consisting of elementary units (nodes) interacting via basic mechanisms (denoted as links). In the proposed system, each biomonitoring system is a network, composed of nodes and links that allow connections between different biomonitoring systems. Each network is driven and operated separately (e.g. using different indicators measured by different institutions with different purposes) and the interactions are only possible at well-defined boundaries, but when the nodes of different networks work together it is expected that emergent properties will occur. Node fails in one network, it will affect the nodes in other networks (Dunne et al., 2002; Evans et al., 2013). Some networks can aggregate more links than others, acting the role as hubs. In this scenario, connected biomonitoring systems are more than just a big network of initiatives with the same underlying principles. It is a network of networks that should be satisfactory planned, analyzed and operated as such (see D’Agostino and Scala, 2014 for an overview of Network of Networks). The Ministry of Science, Technology, Innovation and Communication (MCTIC) created the Program for Biodiversity Research – PPBio in 2004. The objective was to coordinate all biodiversity research, which is necessary to give support to biodiversity-monitoring initiatives. The PPBio developed a spatially-standardized biodiversity-monitoring system that combines aspects of long-term ecological research and rapid assessments (known as RAPELD). The system design provides integration with other initiatives already placed, such as the Tropical Ecology Assessment and Monitoring (TEAM) and the Center for Tropical Forest Science networks. It had to be consistent with international networks for monitoring in situ of specific taxa, such as Amazon Forest Inventory Network (RAINFOR). The RAPELD system occurs in over 90 sites within Brazil and other countries (Peixoto et al., 2016), including dozens of Federal and State protected areas (Magnusson, 2014). It is the recommended system for the Rainforest Standard, used to monitor carbon-credit programs, and highly recommended for monitoring numerous biodiversity-related subjects in international publications (e.g. Magnusson, 2014; Bustamante et al., 2016). The RAPELD system allows monitoring in situ many of biodiversity variables and the methodology adjusted to the appropriate technological and financial resources of the operator without losing comparability (Magnusson et al., 2005). The system was designed to define reference systems and evaluate impacts (deviations from reference systems) (Magnusson et al., 2005; Magnusson, 2014). In cases of local impacts, the PPBio modules give outputs of both impact and the degree of species peril (e.g. Carneiro et al., 2016). It is used in original and modified form by the Brazilian Institute of Environment and Renewable Natural Resources (IBAMA) to assess environmental impacts, by the Brazilian Forest Service (SFB) for monitoring impacts on forest concessions and lately was used in monitoring the effects on fauna of Brazil's largest environmental disasters (Mariana and the Rio Doce). Monitoring system depends on data availability and the capacity to integrate data repositories from diverse monitoring systems. The PPBio of western Amazonia makes the database available through the Metacat system, itself integrated with the System for Brazilian Biodiversity Information (SiBBr): a national online biodiversity database (SiBBr, 2018). The Metacat system is part of Data ONE, an international consortium of biodiversity repositories that includes data from the International Long-Term Ecological Research network (Berkley et al., 2001; Jones et al., 2001). The PPBio is the only South American node of Data ONE. In 2016, the Brazilian government launched the Brazilian Biomonitoring Program of Federal Protected Areas (“Programa Nacional de Monitoramento da Biodiversidade – Programa Monitora”, hereafter Monitora Program; ICMBio, 2016a). This program, managed by the Chico Mendes Institute for Biodiversity Conservation (ICMBio) and the national agency for protected areas is divided into three major subprograms: terrestrial, freshwater and coastline/marine monitoring, subdivided in components (e.g. coral reefs, mangroves) with its components in different stages of implementation, and the involvement of at least 80 federal protected areas (PA) (MMA, 2018a). The first aim of the Monitora Program is to evaluate the effectiveness of the protected area system, and for this reason it widely adopted as the monitoring system of ARPA – The Amazon Protected Areas Program (Silva and Bueno, 2017), the largest PA conservation project in the world, and is part of the Brazilian National Plan of Adaptation for Climatic Change. The forest-monitoring component encompasses 29 PAs in operation (24 in strict-protection areas and 5 in sustainable-use areas) with initial implementation in the field inaugurated in 2014, and at least 15 in process of implementation. The Monitora Program function started the forest component in 2013, including field courses, data management decisions, and education nodes coordinated by ICMBio team. It also involved multiple stakeholders and partners, from local people, research institutions and non-governmental organizations (NGO's) (ICMBio, 2016a). All information generated will be accessible through “PortalBio” (ICMBio, 2011), a website that assembles data from several sources within ICMBio and also from the Rio de Janeiro Botanic Garden, to improve biodiversity data management and availability, per a well-established policy. There is also a formal expectation of data exchange between PortalBio and SIBBr (SIBBr, 2018). A potential network hub necessarily includes connections with different networks. The Monitora Program adopts standardized and simple sampling protocols, based on the definition of a minimum modular common protocol (MMCP) and with the ability to collect basic information of essential bioindicators (ICMBio, 2016a). The MMCP draws on experience from previous designs, such as PPBio (PPBio, 2012) and SFB [Brazilian Forest Service] (MMA, 2018b). The MMCP includes popular groups, such as birds and mammals, butterflies and trees (ICMBio, 2013), whose sampling protocols can be integrated with other monitoring systems. The fruit-feeding butterfly protocol is recommended by GEOBON's Guidelines for Standardized Global Butterfly Monitoring (van Swaay et al., 2015), and has the potential to connect Brazil's national monitoring to other monitoring programs worldwide. The MMCP of the Monitora Program was designed to enable the engagement of a local people – it is accessible for people with any education level but requires deep knowledge about the places where they live (ICMBio, 2016a). The Monitora Program also has advanced protocols which require further technology and expert supervision. One example is the advanced protocol for mammals, using the camera trap protocol designed by the Tropical Ecology Assessment and Monitoring (TEAM) network, which was designed to photograph an adequate sample of tropical-forest terrestrial-mammal and bird species (for details, see TEAM Network, 2011). Another important feature of the Monitora Program is the choice of a pressure-state-response model (OECD, 1993) to guide the process of connecting different biomonitoring systems. This connection would be through two main biological indicators: those related to anthropogenic impacts (pressures) and those that reflect the status of biodiversity (e.g. population trends). Although focused on obtaining in situ biodiversity data, the Monitora Program favors for sampling designs that allow to extrapolate and comparisons, including sampling sites in reference areas (Barbour et al., 1999), definitions of contrasts of interest and well distributed geographically samples, enabling evaluation of responses to different pressures. The Monitora Program does not differ, in essence, from other biomonitoring programs in its goals to integrate biodiversity data to support and influence conservation strategies. However, this monitoring system is based on the idea of a network of networks, reflecting previous experience, such as those explored by EU BON – Building the European Biodiversity Observation Network (EU BON, 2012) in which the PPBio was partner. The Monitora Program constitutes one of the most ambitious programs in monitoring protected areas in Neotropical region and it relies on a simple idea: we do not have to reinvent the wheel and can instead connect the pieces that already exist in a simple and workable way. This message seems to be trivial yet necessary for constructing long-term and sustained biodiversity monitoring in regions marked by big challenges to protect their biodiversity and maintain monitoring programs in Brazil. To exemplify some connectors or nodes of the system, we grouped few biomonitoring programs: The Monitora Program, National participative monitoring outside of Monitora, Large national scientific research programs (Long-term Ecological Research Network – LTER and PPBio), and National water monitoring system (ANA) (Table 1). We focused on the in situ large-scale programs that involve environmental and biodiversity data in Brazil. We do not provide a review of each biomonitoring program nor an extensive inventory of the initiatives. Instead, we strategically selected some designs to exemplify our point of view. We used as the main sources of information those available in the website of each initiative and data derived from the Monitora Program (ICMBio, 2016a). We assessed the motivation, governance, spatial and temporal coverage of biodiversity observations of each initiative. Brazil currently has 2100 protected areas (considering only parks and similars – the so-called conservation units), 665 with strict protection and 1435 that allow sustainable use of natural resources (MMA, 2018c). Of those, 324 are federal protected areas under the direct responsibility of ICMBio and 635 are private areas (Private Reserve of Natural Heritage–RPPN recognized at the federal level). This implies that the Monitora Program, which currently encompasses 29 protected areas, represents about 9% of the federal protected areas under direct responsibility of ICMBio (not considering other initiatives not yet articulated under the Monitora umbrella, such as the Reef Check project in 5 federal PAs [Reef Check, 2018]). Nonetheless, when we add other monitoring systems in federal protected areas the perspective changes. According to the ICMBio, there are 263 known monitoring initiatives covering 194 federal protected areas, excluding RPPNs (ICMBio, 2016b). This means that approximately 60% of the federal protected areas under direct responsibility of ICMBio have at least one monitoring program. Most of the programs, except for the PPBio, started in the last 10 years and so have short time series (Table 1). They diverge in the biodiversity component involved (i.e. ecosystems, species/populations) or abiotic aspect (e.g. carbon or burned area), the spatial grain and sampling frequency in time, and most of them include sites in different Brazilian biomes. It is also important to note that Brazilian Long-Term Ecological Research (hereafter called PELD) (32 sites) is part of the International Long-term Ecological Research Network (ILTER), which currently comprises 700 sites across all continents (Mirtl et al., 2018). Following the international trend, the Brazilian program has increased its integration (including standardized protocols), accelerating technology, networking of resources and moving toward a more socially-relevant scientific approach (Tabarelli et al., 2013). Most of the biodiversity-monitoring schemes are within strict nature reserve (96 cases, meaning that 65% of the strict nature reserve areas have at least 1 scheme), but there is minimal difference in relation to monitoring schemes within sustainable-use protected areas, excluding RRPNs (98 cases, and 55% of the sustainable-use protected areas have at least 1 case) (ICMBio, 2018). Most participative monitoring systems are within sustainable-use protected areas while most national scale research-monitoring programs (e.g. PELD) are within strict use protected areas (Fig. 1). Most of the PPBio sampling sites are now outside strictly-protected areas and in some regions, such as the campos sulinos, all are located on private land (Peixoto et al., 2016). Distribution of sampling points of some monitoring schemes (ANA, BBPSA, PELD, Rainfor and PPBIO) in protected areas, indigenous reserves and outside them. In reviewing overlaps, there are 194 registered protected areas with monitoring initiatives, 56 of which have two or more biomonitoring schemes in place (Fig. 1). Of these, six have four schemes in place, 14 have at least three. This implies a reduced possibility of analyzing information coming from different monitoring systems. Further, the lack of spatial standardization in all but the PPBio system and Monitora Program would reduce potential interpretation of the patterns. One important step to improve the scenario is providing conceptual and analytical tools to integrate different schemes, where they coincide. This occurs in some places, such as the Reserva Extrativista de Unini (Amazonia), where different schemes and institutions coexist in a strong relationship with local communities and its governing Board (ICMBio, 2006). It is also happening at Parque Nacional da Serra dos Órgãos (Atlantic Forest), where biological monitoring is being integrated with public use monitoring and processes related to large interventions, such as the highway crossing the park and the oil refinery practices, which directly affect air quality and forest responses (Faria and Castro, 2015). Currently, the Monitora Program is dedicated to articulate initiatives and protocols directly related to resources in use, such as Brazil nuts, turtles and, fisheries. These are usually community-based projects, conducted by many institutions, even in federal PAs. A good example of such collaboration is the Participatory Monitoring of Biodiversity (MPB) in Amazonian Conservation Units coordinated by the IPÊ – Instituto de Pesquisas Ecológicas. Common variables, approaches, data management solutions are being identified and policies built. It is important to note that the entirely community based, participatory monitoring experiences, rarely report to other knowledge systems beyond the local community as they are normally quite autonomous (Danielsen et al., 2005). Biodiversity and resource monitoring supposedly should involve indigenous lands, but the data rarely goes beyond their frontiers (ISA, 2017). Environmental-licensing procedures are another source of biological data in IBAMA's repository, but this source still requires improved systematization for insertion in a national monitoring system level. Most of the licensing process generates enormous amounts of data, based on specified protocols, but are not integrated at large scale (thought there are exceptions, such as marine turtle and mammal data generated by IBAMA and PPBio). In addition, there is a myriad of small initiatives developed by NGO's which are difficult to assess. A big challenge in monitoring for environmental planning is to inform decision and policy making at different scales transparently, simply and directly. Many requirements have been highlighted in recent years for a global biodiversity monitoring program. For example, Schmeller et al. (2015) and Anderson (2018) identified points for terrestrial-species global monitoring, which are common challenges for all monitoring programs, isolated or being part of a network of networks. Three of these challenges are particularly relevant for our purposes: (1) designing and implementing an integrated information chain from monitoring to policy reporting; (2) capacity building to create a comprehensive spatial monitoring program; and (3) developing and optimizing semantics and ontologies for data interoperability. Schmeller et al. (2017) use the PPBio to illustrate the advantages of an integrated system and they state that new systems for capacity building should take lessons from successful programs, such as the PPBio (Schmeller et al., 2015). Currently the design and data availability from biomonitoring schemes in Brazil have limited relevance in providing a big picture of biodiversity trends in protected areas, a common problem across the world (Stephenson et al., 2015; Joppa et al., 2016). However, we believe there is an unprecedented chance for re-arranging small pieces and allowing those schemes to work within a single framework. We believe that interesting, powerful and shared gains could be brought to the entire system for the following reasons: the large number of active biomonitoring initiatives in Brazil; the fact that Brazilian legislation emphasizes the obligation of sharing biodiversity data and given that some of them are just starting. Beyond the debate about environmental planning style vs surveillance style of biomonitoring (e.g. Haughland et al., 2010; Lindenmayer and Likens, 2010), we point out that when the decisions are based on data from a network of biomonitoring systems, it is also important to understand the motivation of each system and potential complementarities that emerge from them to allow a participatory environmental planning style of management (Laurance et al., 2012; Young et al., 2014). In the case of the Monitora Program, the aim of providing information about Brazilian biodiversity in protected areas, resources and production of extractive products for contributing to public policies is a common ground among the initiatives that can improve and promote dialogs. As it is of public interest, the Brazilian PA-monitoring system should provide an answer for the key question of whether the PAs are effectively protecting the values that they were created for. Since this answer involves not only biodiversity but also social and cultural values, they should be constructed in a collective way, resulting in an enriched picture based on Multiple Evidence Base Approach (Tengö et al., 2014). As the Monitora Program is based on a pressure–state–response model, the Multiple Evidence Base Approach can result in a discussion of causal relationships. In practice, the solution may be as simple as setting in the same framework the Monitora Program indicators of state and indicators of pressure from ongoing initiatives carried out at a national scale. For example, those initiatives include parameters of anthropogenic impacts (pressures) (e.g. deforestation) with the long-term initiatives or biomonitoring systems that focus on different dimensions of biodiversity (e.g. RAINFOR, ATDN, which are integrated in the PPBio). The option of getting those initiatives together, and at the same time allowing local governance by keeping the independence of each system, may result in an enriched picture allowing the potential assessment of causes and effects in a Multiple Evidence Base approach. The Monitora Program focuses on state and pressure components and aims to articulate with other initiatives, considering the dialog with management decisions. It connects increasingly with the framework of a system called SAMGE – a management-monitoring framework developed by ICMBio that considers management of each PA, feasibility, supposed impact of each human activity in each area, and aims to identify key management actions based on these questions (ICMBio, 2016c). However, it still is largely based on subjective evaluations, like most similar systems (e.g. WWF: Rapid Assessment and Prioritization of Protected Area Management Methodology – RAPPAM [Simões and Oliveira, 2004]) and objective biodiversity data will be an important input for the system. We believe that a minimum spatial and temporal adjustments or integration in monitoring localities may improve a well-established wide coverage system using the concept of “units of biomonitoring”. For example, Brazilian Water Quality Monitoring System has more than 1000 sampling stations, including all large hydrographic basins, although only 94 are inside PAs. Considering PAs as the best reference areas for water monitoring, the simple change of sampling points from outside PAs or creating new ones inside, could benefit both systems. The same idea could be applied to Brazilian Forest Survey, which is evaluating vegetation characteristics (e.g. species, biomass), in 20×20km-grids across the national territory (MMA, 2018b). The possibility to achieve such adjustment, whereas different systems may contribute with complementary information, will form a link among the biomonitoring network of biomonitoring units located inside and outside the protected areas. Such a design permits the comparison of biodiversity trends inside and outside the protected areas, which is critical to assessing the efficiency of conservation (Laurance et al., 2012; Coad et al., 2015). Furthermore, there is an outstanding social and economic pressure to develop credible evidence about the importance of protected areas (Ferraro and Pressey, 2015). More importantly, this would improve the ability to complete the pressure–state–response schemes and would increase the possibility of transferring information about different biodiversity surrogate trends to decision makers and the overall public (Stephenson et al., 2015). The Monitora Program's biggest challenges include the definition of the mechanisms to grant policy makers, resource managers and scientists the ability to clarify their objectives and to improve institutional support for biodiversity monitoring, standards monitoring, and data gathering and access. TEAM, PPBio, PELD, Monitora Program are examples of biodiversity-monitoring initiatives in Brazil with published data policies (TEAM Network, 2011; PPBio, 2012; ICMBio, 2016a; CNPq, 2018). In the documentation of the network of networks described above it became clear that there is a challenge in merging monitoring programs designed to feed local management decisions into frameworks to inform decisions at other scales. The challenge of connecting different ongoing initiatives goes further when we consider the potential of embracing the general public including different knowledge systems (e.g. indigenous and other traditional knowledge) toward a more inclusive style of monitoring (Dillon et al., 2016) (Fig. 2). As recently outlined by the Intergovernmental Platform on Biodiversity and Ecosystem Services (Dias, 2015), global conservation strategies are complex because conservation status and governance are heterogeneous across the world, so the solution should be scalable to a finer level involving local populations (Fig. 2). In this context, the participatory monitoring gains are enormously important to the Monitora Program scheme because many protected areas in Amazonia have participatory monitoring schemes. Indeed, ICMBio registered 91 cases of participatory monitoring associated to the use of biological resources in PAs of sustainable uses, most of them in Amazonia (dataset assessed in 2016: ICMBio, 2016a). Illustration of network of networks perspective in biomonitoring depicting the two potential network hubs (PPBio and Monitora), six biomonitoring systems (networks) and the potential connections among them. Another connection is the “citizen science” approach (Fig. 2). People engaged in this kind of initiative usually do not directly depend on the biodiversity monitored as a resource, so they do not implement management solutions on the basis of research findings (Kennett et al., 2015). This kind of monitoring has great potential to engage many people in biodiversity projects in collaboration with scientists. Three cases that can exemplify this potential are the following: (i) the Brazilian Road Ecology Center monitors road mortality due to animal–vehicle collisions, including protected areas, through a system called Urubu Mobile which has more than 16,000 volunteers (Bager et al., 2016); (ii) in a call for volunteers in 2015, Parque Nacional da Serra da Bodoquena (Fig. 1) received more than 200 candidates for participation in the Monitora Program; and (iii) the Wikiaves system (www.wikiaves.com.br) has bird records from almost all Brazilian protect areas collected by birdwatchers. Although both participatory monitoring and citizen science approaches have their own practical advantages and disadvantages (Kennett et al., 2015; Dillon et al., 2016), considering the perspectives of connection with the Monitora Program, we believe that the Multiple Evidence Base Approach in a pressure–state–response model and multi-layer platform provide a common ground to promote these dialogs. The number of multi-layer platforms with ecological, social and economic data sets is rapidly increasing, ranging from initiatives focused on specific territories (e.g. SOMAI – Sistema de Observação e Monitoramento da Amazônia Indígena - SOMAI, 2018) to global datasets such as Google Public Data Explorer (Google, 2018). Previous papers have already proposed integrated monitoring frameworks to assess biodiversity and ecological services at multiscales and recommended research and practical priorities (e.g. Bustamante et al., 2016; Bush et al., 2017). Considering the demands for clear conceptual and analytical models connecting monitoring indicators, goals, and management actions, our primary message is that Brazilian biodiversity monitoring can be improved by approaching the different initiatives or indicators as a complex Network of Networks – NoN. The NoN is formed from interdependent or interconnected networks where each monitoring initiative is considered an individual network. We could then look at combining indicators (nodes) from different monitoring initiatives (networks) (Fig. 2). For example, two connected nodes could be the “permanent forest loss” (an indicator of the Satellite Monitoring Systems of deforestation in Amazon Forest) and a measurement of population trends of vertebrate species (e.g. Monitora Program), though all such attempts made to date have failed due to the lack of coincidence in sampling scales. Events in one network lead to events in dependent nodes in other networks; in our example, loss of forests may affect population trends of vertebrate species. As parts of such interconnected systems, biomonitoring analytical tools can be strengthened by considering recent approaches to the resilience of networks, including network structure, dynamics and failure mechanism (Gao et al., 2015). The first state needs to be accompanied by an automatic assessment of scale defining at which scale biodiversity pressures are affecting biodiversity components. This will clarify the links between pressure and response variables and facilitates the design of interventions. The second message is to use Fuzzy logic to deal with complex issues where the cause-and-effect relationships are not well known and different possible explanatory factors may exist. More importantly, such an approach provides an analytical way to work with mutual recognition and enrichment among different disciplines and knowledge systems; a challenge that has been recognized conceptually in global monitoring systems, but still not treated analytically. For instance, Fuzzy logic can be applied in the following cases: (i) modeling tools such as sensitivity analysis to reveal the importance of different indicators in a Pressure–State–Response Framework (PSRF) (Andriantiatsaholiniaina et al., 2004); and (ii) analysis of optimal or adaptive controls to maximize outputs in strategies for biodiversity conservation (Phillis and Kouikoglou, 2012). To further illustrate our second message, suppose we are inferring cause-and-effect relationships between “permanent forest loss” and “population trends of vertebrate species”. The former is a global indicator derived from imagery analysis but it is also a variable experienced by many indigenous communities around the world at local scale. The second is depicted from many different initiatives on animal population monitoring around the world (e.g. Living Planet index), but again, indigenous peoples have their own knowledge about the biological dynamics of many of these species in their lands. Applying the Fuzzy logic to this case, one could develop a fuzzy indicator connection expressed as an IF–THEN rule based on the complementarities, synergies, and contradictions of these sources of information to link and model the effects. For example, whether both indigenous peoples and global monitoring systems suggest similar indicator trends to the statement IF “net permanent forest loss” is increasing THEN some population trends of vertebrate species are decreasing, the level of uncertainty around this issue decreases. On the other hand, if the different sources of information diverge, the uncertainty around the decision increases. The major problem with this approach is that all measures are correlated at most scales (e.g. hunting, commercial use, pollution, etc. ), so becoming more certain that decreasing vertebrate densities in local areas are due to regional forest loss may divert attention away from the real causes. Therefore, it is important not to confuse “fuzzy” with “superficial”. In summary, if the biodiversity monitoring is recognized at global scale as a NoN connected by indicators using Fuzzy logic, this will allow combining of information from disparate ecological and social systems (Phillis and Kouikoglou, 2012), such as from different knowledge systems. When applying NoN and Fuzzy logic ideas to Brazilian biodiversity monitoring, several practical issues and challenges will be faced, such as the quality of empirical data, the integration of expert opinions, the system's own credibility and the linkage to management decisions. These challenges notwithstanding, with the rapid development of online databases, selection of indicators and demands for integrated systems, we urge moving from multiple disparate networks to a NoN. We believe that the development of global biodiversity monitoring schemes can go a step further than simply visualizing trends of each indicator individually in a common dashboard of indicators and instead be an integrated, analytically-linked tool with a wide global view of complex biodiversity indicators. Our point is not so much the need to develop completely new frameworks toward a “network of networks biomonitoring systems” but rather that the first step is to connect the frameworks and ongoing initiatives in the same platform. In this way, the ongoing initiatives could be nodes organized in a Pressure-State-Response (e.g., LTER, ANA etc.) linked by flows of information calibrated by fuzzy algorithms. These fuzzy nodes are discipline-independent and give network metrics that can be used to draw a big picture based on multiple evidence from different knowledge systems. This can bring clarity and rigor to the Monitora Program, and it could be used to promote and facilitate the engagement of different initiatives, assuming that they have the common motivation to better inform decisions to effectively conserve biodiversity from a local to global scale. We thank Dr Toby Gardner for helping us with some initial ideas. This work was partially supported by Biota-MS Program, CNPq, CAPES (FVN was supported by PNPD-CAPES Scholarship #1671210), CAPES-Cofecub (CAM was supported by CAPES-Cofecub # 88887.190652/2018-00), CASEST, Fundect, and PELD-Serra da Bodoquena. We thank for Institutional Program of Internationalization sponsored by Coordination for the Improvement of Higher Education Personnel (Capes-Print number 41/2017). L.O. Anderson, Y.E. Shimabukuro, R.S. Defries, et al. Assessment of deforestation in near real time over the Brazilian Amazon using multitemporal fraction images derived from terra modis. Biodiversity monitoring, earth observations and the ecology of scale. L.A. Andriantiatsaholiniaina, V.S. Kouikoglou, A.P. Phillis. Evaluating strategies for sustainable development: fuzzy logic reasoning and sensitivity analysis. S.L. Bager, D. Dinesh, A.S. Olesen, et al. Agricultural initiatives and COP22: a step towards fighting climate change. M.T. Barbour, J. Gerritsen, G.E. Snyder, et al. Rapid Bioassessment Protocols for Use in Wadable Streams and Rivers: Periphyton, Benthic Macroinvertebrates and Fish, EPA 841-b-99-002. 2. C. Berkley, M. Jones, J. Bojilova, et al. Metacat: a schema-independent XML database system. E. Bernard, L. Penna, E. Araújo. Downgrading, downsizing, degazettement, and reclassification of protected areas in Brazil. Lei Federal n.° 12.651 de 2012, Dispõe sobre a proteção da vegetação nativa e dá outras providências. M.M.C. Bustamante, I. Roitman, T.M. Aide, et al. Toward an integrated monitoring framework to assess the effects of tropical forest degradation and recovery on carbon stocks and biodiversity. A. Bush, R. Sollmann, A. Wilting, et al. Connecting Earth observation to high-throughput biodiversity data. L.R. Carneiro, A. de, A.P. Lima, R.B. Machado, et al. Limitations to the use of species-distribution models for environmental-impact assessments in the Amazon. CNPq, 2018. Conselho Nacional de Desenvolvimento Científico e Tecnológico. http://cnpq.br/sitios-peld (accessed November 2016). CNUC, 2016. Cadastro Nacional de Unidades de Conservação. http://www.mma.gov.br/areas-protegidas/cadastro-nacional-de-ucs (accessed November 2016). L. Coad, F. Leverington, K. Knights, et al. Measuring impact of protected area management interventions: current and future use of the global database of protected area management effectiveness. F. Danielsen, N.D. Burgess, A. Balmford. Monitoring matters: examining the potential of locally-based approaches. Networks of Networks: the last frontier of complexity. Smart monitoring is key to achieving the Aichi Biodiversity Targets. J. Dillon, R.B. Stevenson, A.E.J. Wals. Moving from citizen to civic science to address wicked conservation problems. J.A. Dunne, R.J. Williams, N.D. Martinez. Building the European Biodiversity Observation Network. D.M. Evans, M.J.O. Pocock, J. Memmott. The robustness of a network of ecological networks to habitat loss. Envolvendo a Comunidade Científica na Gestão do Parque Nacional da Serra dos Órgãos. Introduction: Measuring the difference made by conservation initiatives: protected areas and their environmental and social impacts. J. Ferreira, L.E.O.C. Aragão, J. Barlow, et al. Brazil's environmental leadership at risk. Environmental Remote Sensing from Regional to Global Scales. L. Gao, X. Liu, D. Li, et al. Recent progress on the resilience of complex networks. L.C. Garcia, D.R. Bandini, F.O. Roque, et al. Brazil's worst mining disaster: corporations must be compelled to pay the actual environmental costs. Google, 2018. https://www.google.com/publicdata/ (accessed October 2016). D.L. Haughland, J.M. Hero, J. Schieck, et al. Planning forwards: biodiversity research and monitoring systems for better management. ICMBio, 2006. Instituto Chico Mendes de Conservação da Biodiversidade. http://www.icmbio.gov.br/portal/unidadesdeconservacao/biomas-brasileiros/amazonia/unidades-de-conservacao-amazonia/2041-resex-rio-unini (accessed October 2016). ICMBio, 2011. Instituto Chico Mendes de Conservação da Biodiversidade. https://portaldabiodiversidade.icmbio.gov.br (accessed November 2016). Monitoramento in situ da biodiversidade: Proposta para um Sistema Brasileiro de Monitoramento da Biodiversidade, Brasília, DF. ICMBio, 2016a. Instituto Chico Mendes de Conservação da Biodiversidade. http://www.icmbio.gov.br/portal/monitoramento-2016/programas-de-monitoramento-da-biodiversidade-em-ucs (accessed November 2016). ICMBio, 2016b. Instituto Chico Mendes de Conservação da Biodiversidade. http://sistemas.icmbio.gov.br/simrppn/publico/ (accessed November 2016). ICMBio, 2016c. Instituto Chico Mendes de Conservação da Biodiversidade. http://www.icmbio.gov.br/portal/sistemas1?id=7173 (accessed November 2016). ICMBio, 2018. Instituto Chico Mendes de Conservação da Biodiversidade. http://www.icmbio.gov.br/portal/criesuareserva (accessed November 2016). ISA, 2017. Instituto Social Ambiental. https://www.socioambiental.org/pt-br (accessed November 2016). M.B. Jones, C. Berkley, J. Bojilova, et al. L.N. Joppa, B. O’connor, P. Visconti, et al. Filling in biodiversity threat gaps. When will yellow fever strike Brazil again? Monkeys and mosquitoes hold clues. R. Kennett, F. Danielsen, K.M. Silvius. Conservation management: citizen science is not enough on its own. W.F. Laurance, H. Koster, M. Grooten, et al. Making conservation research more relevant for conservation practitioners. W.F. Laurance, J. Sayer, K.G. Cassman. Agricultural expansion and its impacts on tropical nature. W.E. Magnusson, A.P. Lima, R. Luizão, et al. RAPELD: a modification of the Gentry method for biodiversity surveys in long-term ecological research sites. Uncertainty and the design of in-situ biodiversity-monitoring programs. M. Mirtl, I. Djukic, H. Haubold, et al. Genesis, goals and achievements of long-term ecological research at the global scale: a critical review of ILTER and future directions. R.A. Mittermeier, P. Robles Gil, C.G. Mittermeier. Megadiversity: Earth's Biologically Wealthiest Nations. MMA, 2018a. Ministério do Meio Ambiente. http://www.mma.gov.br/areas-protegidas (accessed November 2016). MMA, 2018b. Ministério do Meio Ambiente. http://ifn.florestal.gov.br (accessed November 2016). MMA, 2018c. Ministério do Meio Ambiente. www.mma.gov.br/cadastro_uc (accessed November 2016). N. Myers, R.A. Mittermeier, C.G. Mittermeier, et al. Biodiversity hotspots for conservation priorities. L.M. Navarro, N. Fernández, C. Guerra, et al. Core Set of Indicators for Environmental Performance Reviews: A Synthesis Report by the Group on the State of the Environment. Environment Monographs. U. Oliveira, B.S. Soares-Filho, A.P. Paglia, et al. Biodiversity conservation gaps in the Brazilian protected areas. A.L. Peixoto, J.R.P. Luz, M.A. Brito. H.M. Pereira, S. Ferrier, M. Walters, et al. N. Pettorelli, K. Safi, W. Turner. Satellite remote sensing, biodiversity research and conservation of the future. N. Pettorelli, W.F. Laurance, T.G. O’Brien, et al. Satellite remote sensing for applied ecologists: opportunities and challenges. System-of-Systems hierarchy of biodiversity conservation problems. PPBio, 2012. Programa de Pesquisa em Biodiversidade. https://ppbio.inpa.gov.br/metodos (accessed November 2016). Reef Check, 2018. Reef Check Foundation. http://www.reefcheck.org/ (accessed January 2018). Big questions, big science: meeting the challenges of global ecology. D.S. Schmeller, R. Julliard, P. Bellingham, et al. D.S. Schmeller, M. Böhm, C. Arvanitidis. Building capacity in biodiversity monitoring at the global scale. SiBBr, 2018. Sistema de Informação sobre a Biodiversidade Brasileira. http://www.sibbr.gov.br (accessed November 2016). The Amazon Protected Areas Program (ARPA): participation. Implementacao da avaliacao rapida e priorizacao do manejo de unidades de conservacao do Instituto Florestal e da Fundacao Florestal de Sao Paulo-RAPPAM. B. Soares-Filho, R. Rajão, M. Macedo, et al. SOMAI, 2018. Sistema de Observação e Monitoramento da Amazônia Indígena http://www.somai.org.br/#!/ (accessed November 2016). P.J. Stephenson, N.D. Burgess, L. Jungmann, et al. Overcoming the challenges to conservation monitoring: Integrating data from in situ reporting and global data sets to measure impact and performance. L.S.M. Sugai, J.M. Ochoa-Quintero, R. Costa-Pereira, et al. B.L. Sullivan, J.L. Aycrigg, J.H. Barry, et al. The eBird enterprise: an integrated approach to development and application of citizen science. M. Tabarelli, C.F.D. Da Rocha, H.P. Romanowski, et al. PELD–CNPq: dez anos do Programa de Pesquisas Ecológicas de Longa Duração do Brasil: achados, lições e perspectivas. Terrestrial Vertebrate Protocol Implementation Manual, v. 3.1: Tropical Ecology, Assessment and Monitoring Network. M. Tengö, E. Brondiizio, T. Elmqvist, et al. Connecting diverse knowledge systems for enhanced ecosystem governance: the multiple evidence base approach. W. Turner, S. Spector, N. Gardiner, et al. Remote sensing for biodiversity science and conservation. C. van Swaay, E. Regan, M. Ling, et al. Guidelines for Standardised Global Butterfly Monitoring. Group on Earth Observations Biodiversity Observation Network, Leipzig, Germany. J.C. Young, K.A. Waylen, S. Sarkki, et al. Improving the science-policy dialogue to meet the challenges of biodiversity conservation: having conversations rather than talking at one-another.